HEALTH: Why Are Apples So Healthy?, - Something New Everyday! We all know that old saying: "An apple a day keeps the doctor away." But have you ever wondered why that is? How one apple a day can bring about significant health benefits? If you have, then you'll be glad to read this article. From strengthening the immune system, through preventing cancerous growths and to losing weight, say hello to your one apple a day! Apples are considered a vital source of nutritional fibers. Eating one apple a day (with peel) can award us about 4.4 grams of nutritional fibers, which is 1/5 of our entire day's recommended amount. Nutritional fibers are materials found in foods that come from plants, and have a very important role in stimulating the digestive system and encouraging its function. Since they are not digested and taken apart in the body, they sate our hunger for a longer period of time. Extensive research has shown that those that do not get their daily recommended amount (at least 25 grams a day), deny themselves a host of health benefits. In addition, the researchers found that consuming these fibers is quite the effective method of losing weight. Everything. 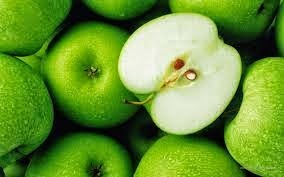 Apples are a terrific source of nutritional fibers, especially a group of fibers called Pectin. This is a group of complex carbohydrates that regulate our bowels, improve good cholesterol rates and is a powerful anti-oxidant and anti-bacterial. Researchers from UCLA have shown that consuming pectin instead of regular fibers, doubles the time it takes the stomach to empty from one hour to two. Meaning that we don't feel hungry for a longer time. In fact, a recent research paper entitled: "Weight Loss Associated with a Daily Intake of Three Apples or Three Pears among Overweight Women", shows that women suffering from overweight and were instructed to eat an apple or pear before each meal, lost significant weight, just for doing so. The women in the experiment were asked to eat regularly and just add the apple before the meal. What happened was that the apples and fibers crowded the stomach, increased the feeling of being full, and made the body absorb less calories. Other sources of nutritional fibers are: Pears, Peaches, peas, carrots, seeds, nuts, peel of fruits and vegetables, legumes, whole grains, oats and whole wheat. But apples offer many more advantages.